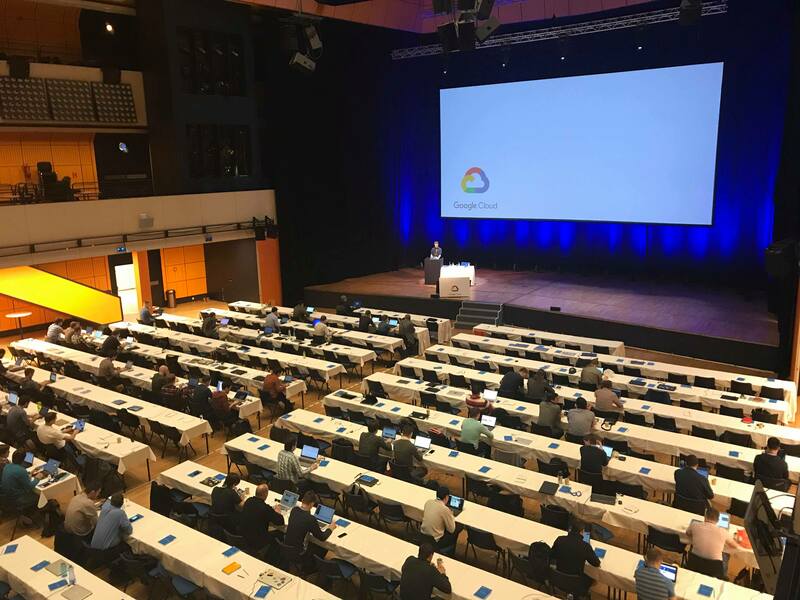 TL; DR Recently, our development team had a chance to attend Google Cloud Onboard. In this article, I go over our first impressions and key takeaways from the event. It’s not a secret that ROI Hunter is a multi-cloud platform. We use resources in several public cloud providers such as GCE, AWS and Azure and are currently preparing a few articles about it. 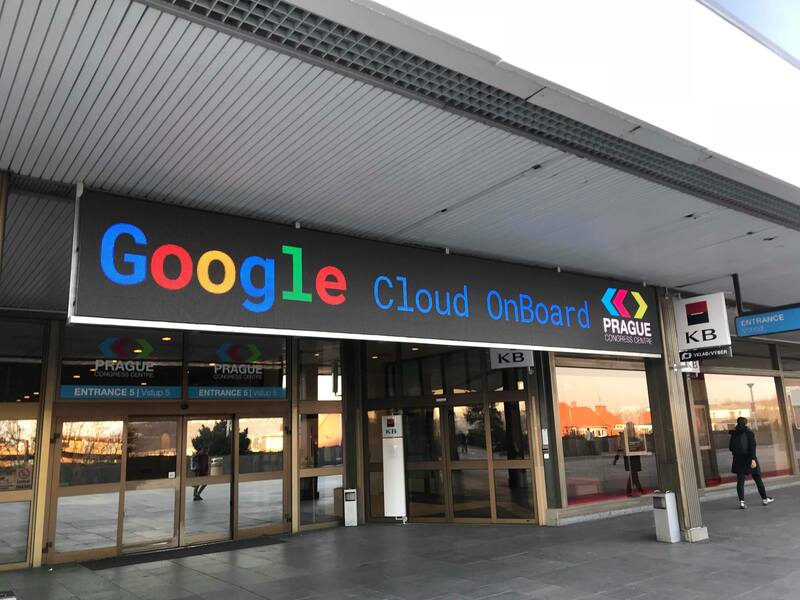 However, today, I would like to go over how our Google Cloud OnBoard went and what insights we gained from attending. It was 5 am and our team of 7 were sitting on a train, looking forward to learning new things and meeting new professionals in the field. We noticed that we were probably the first attendants because we had arrived early and headed directly to the Prague Congress Center. Everything at the conference hall was nicely marked and we easily found our hall and eagerly picked our tags from the hundreds of tags of those who would attend later. A 5 am train meant that we were eager to taste that sweet dark nectar of the gods, coffee. As faith would have it, the coffee machine at the congress center was off and some of us thought that we would have to venture out again to find a cafe. Fortunately, a Google employee sorted us out. With coffee in our bellies, we felt more alive and ready to face the exciting day ahead of us. 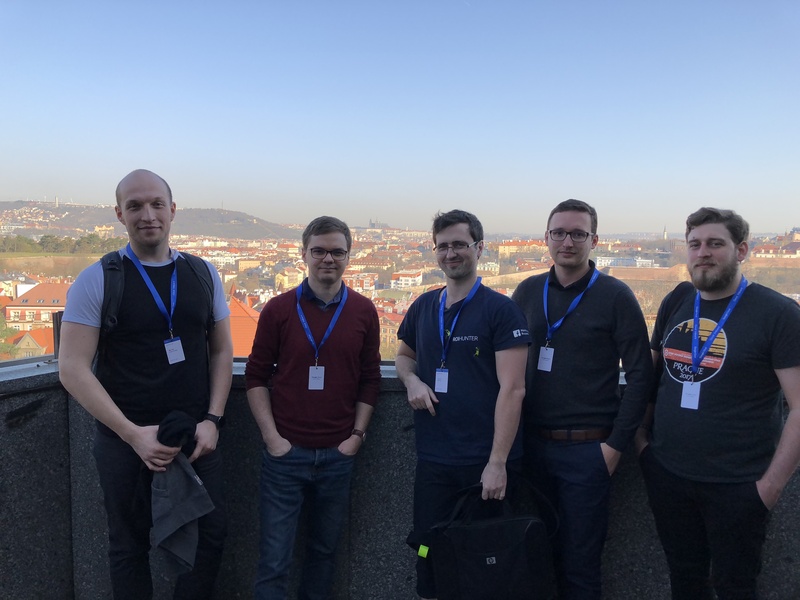 We took some time to find out bearings, study the schedule and took a few photos of Prague because it was a nice and sunny day and the Congress Center offered a beautiful view of the city. Then, we just needed to wait for the first module to start. In our opinion, the morning modules were targeted more towards people who were new in GCE. It provided a good overview of how GCE works, its history and the motivation for its creation. Despite this, what new information we could gather was still invaluable to us. Our developers had a chance to hear about all of the good features that GCE had to offer. Usually, our DevOps team presents the benefits of GCE, so it was a nice change to hear the masters themselves show what it could do. We also got a chance to see success stories which had our team motivated to absorb even more knowledge and put their newfound insights to good practice. But what we loved most about the morning was the game! Revolgy provided Google Pixel 2 phones and we had a great game which consisted of 10 questions. We really enjoyed it because the format was cool and anyone with a laptop, phone or tablet was able to play! After a good lunch, the best part started. This was very interesting for us because we are fully in Docker. We heard some news about Kubernetes - which is our main orchestration tool and what we really liked was Stackdriver which we need to learn more about. Our ops liked Deployment Manager which is a cool tool if you are only in GCE. But we have multi-cloud infrastructure so we will stay with Terraform. We are not really involved in Machine Learning and Big Data but we want to put more resources into these and were able to discover good technologies which can help us start with this faster. We also appreciated the Cloud Vision API and hope we’ll find a use case for it in our product. In the end, we were provided with a few links to resources where we can continue learning and training and get our Google certifications. We enjoyed the day and all the fun Google had prepared. We also visited our friends from Kiwi, Google booths and, of course, a huge Revolgy booth where we chatted about Google technologies and enjoyed some funny activities. 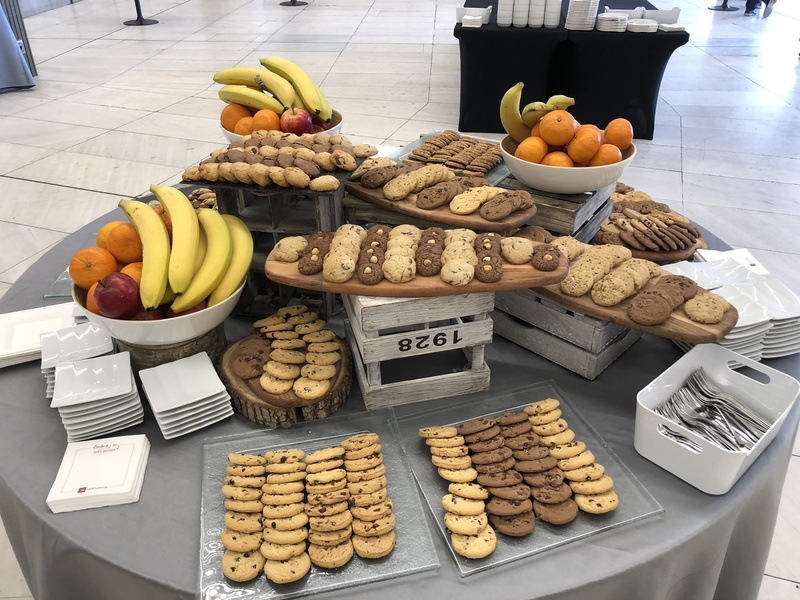 And, of course, we can’t forget about the delicious food, which was provided during every break, and good lunch. This event was a good opportunity to learn about some news from Google, enhance our personal network and enjoy a good day. We are excited to have had a chance to cooperate with Google and look forward to more events. I would also like to thank DoiT International for telling us about this event. By the way, if you’re a startup, check out the Google startup program as it has a lot to offer. I really admire Jose (the trainer) who managed to handle the whole training day professionally, it was a pleasure to listen to him and learn from him. The training was nicely separated into modules, in fact, I really liked the organization of the whole event. Since we are moving to Google Cloud these days, the training was super helpful for us, we got a general overview of Google Cloud platform, how individual GC products work and can be used - the trainer talked about practical usage a lot, which is always good. It was a great introduction and overview of Google Cloud products. I especially liked the live examples such as full-text search across the whole Wikipedia (40M articles) in just a few seconds. Looking forward to more in-depth training. From my cloud beginner point of view, Google showed us a lot. From the introduction to their cloud vision to more sophisticated solutions. I had already known about a few cloud services and Google introduced more of them to me. 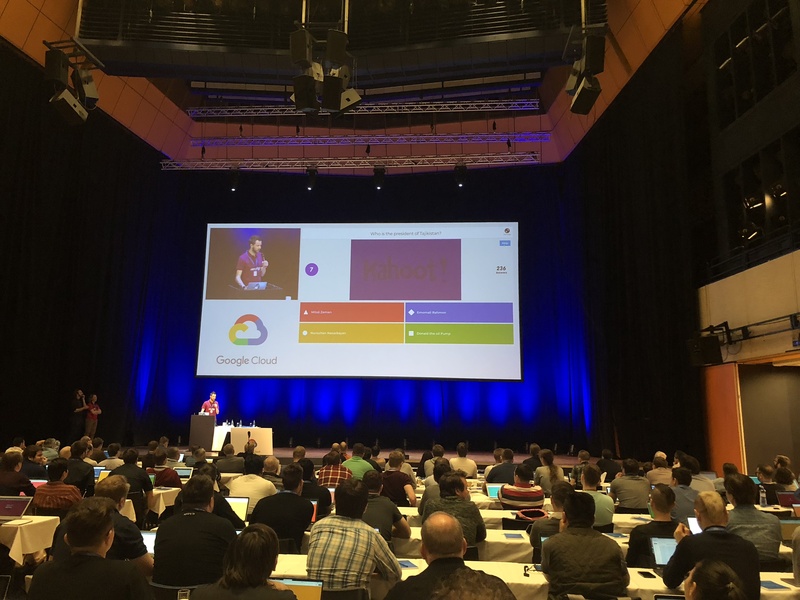 What I liked the most was showing the synergy between various Google cloud services. It gave me a lot of ideas and potential solutions to learn and try. The presenter was skilled and beginner-friendly. Learning blocks and breaks with refreshments were greatly balanced. It provided a good overview of how GCE works, its history and motivation. We enjoyed the day and all the fun Google had prepared. We also visited our friends from Kiwi, Google booths and, of course, a huge Revolgy booth where we chatted about Google technologies and enjoyed some funny activities.